Huge Savings Item! Save 18% on the Coleman Lantern Stand by Coleman at Kerinci. MPN: 2000009307. Hurry! Limited time offer. Offer valid only while supplies last. Have a place to hang your fuel or battery-powered lantern, even when there isn't a tree or post to be found, with the non-slip Coleman Lantern Stand. Have a place to hang your fuel or battery-powered lantern, even when there isn't a tree or post to be found, with the non-slip Coleman Lantern Stand. 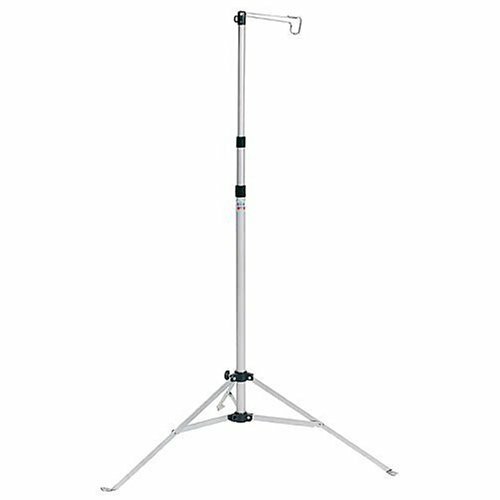 This durable steel and aluminum stand with telescoping poles extends to more than 7 ft. When the fun is done, the collapsible stand packs up compactly in the included carry case. Telescoping poles extend to over 7 ft.